Another fantastic augmented reality experience, thanks to BBC working with Appshaker, shoppers have been immersed into a unique experience in North American shopping centres. 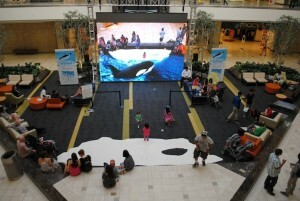 The activation was on tour from April 19th – April 22nd, specifically through New Jersey, Illionois and California. This campaign was highly successful in increasing the awareness/reach of the ‘Frozen Planet’ DVD series, as well as the new BBC/Discovery channel. 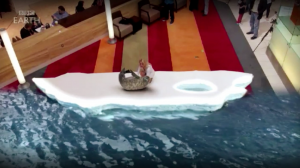 The impressive video quality of the Augmented Reality experience allowed visitors to interact with virtual polar bears, seals, penguins and even orcas.